I dusted off my never ending list of Yelp bookmarks yesterday and as a testament to how delectable lunch was, here I am less than 24 hours later cranking out a review of mighty Dave’s Chillin’-N-Grillin’ in Eagle Rock. Located on the marquee corner of Eagle Rock and Colorado, proprietor Dave, is a Bostonian who started this hole-in-the-wall several years ago when he couldn’t find a proper sandwich in L.A.. As a serious fan of the humble sub, as a born and bread, um, bred Angeleno, I can attest to the sorry state of local carbs, mayo and meat. That is, until now! I’ve tried them all from Mario’s Italian in Glendale to Bay Cities in Santa Monica and none have made me salivate contemplating my return visit like Dave’s has–after one bite! 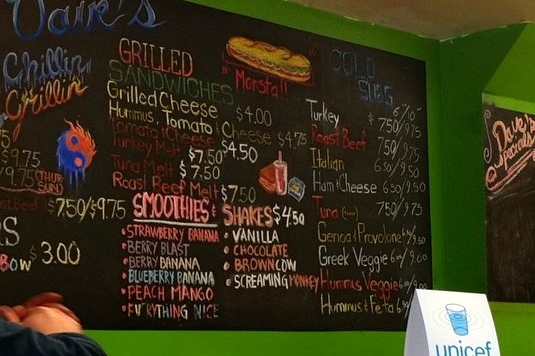 Reminiscent of a college frat, Dave’s makes no bones about what it is: a place to chill and devour perfectly crafted subs and sandwiches on freshly baked bread, a bounty of flavorful meats and delightfully fresh veggies. 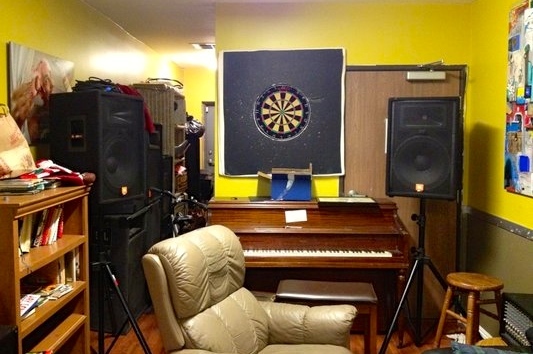 The dining area is dotted with several tables and anchored in the rear by a TV, couch, La-Z–Boy, piano, games and a dart board under a mobile proclaiming the space to be an “Eagle Rock Block Party,” and that’s exactly what it feels like. You’re eating at Uncle Dave’s house and he’s going to make sure you’re stuffed silly. 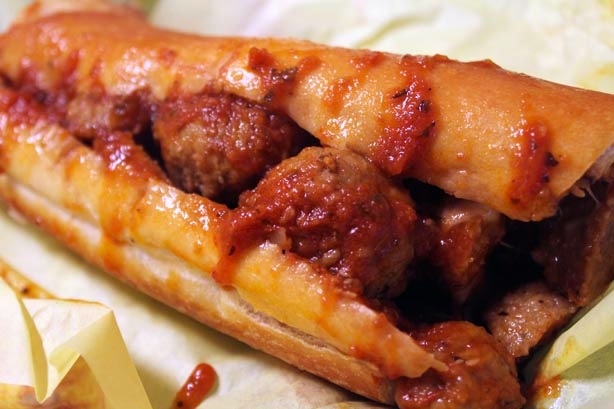 I ordered the 6″ inch Italian combo and 6″ meatball subs–to try, fully expecting to take most of it back on. Well, 1/4 of one did and 1/3 of the other. These sky-high subs offered mounds of zesty meatballs and a stack of cured Italian meats sitting on a delicate bed of Dave’s secret sauce–a homemade citrus-y pepper spread not too far removed from Sriracha. You know how sometimes too much of something can be unsatisfying when it’s not tasty? The opposite is true here. 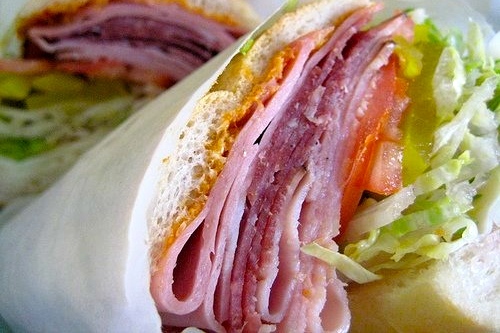 Every bite bursted with flavor and the subtle nuances of a perfect union of meat, cheese and bread. Needless to say, the last 1/4 and 1/3 didn’t make it past dinner.